I found this book to be both more challenging, but better than the first book. Perhaps, for me, this book was better specifically because it was more difficult. If, as I was reading this, I didn't know that Tip was not what he seems, I would have had a very hard time making it through the book. For much of the book there seems to be a snide and mean way that women are portrayed, especially General Jinjur and the Army of the Revolt. However, at every turn, I kept asking myself to be patient because something was going to happen later that reflected back on all the action. There is in this story a contrast between ways of gaining and keeping power. There are reflections on what it means to gain power, the appropriate use of that power and the responsibility that comes with that power. 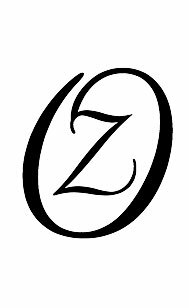 The journey of the main character Tip is from the North, place of Earth and winter, through the Center with an aerial side trip to the distant spring East to the Fiery and summer South, and back to the Center where Tip assumes the throne of Oz as the Princess Ozma. The journey of the second book is, in fact, the story of the Goddess returning from the Underworld in winter, to return in the Spring, bringing new life, and arriving in her full power at summer. "Where are we going?" asked Jack [Pumpkinhead], when they had resumed their journey. "I'm not exactly sure," said the boy [Tip]; "but I believe we are headed South, and that will bring us, sooner or later, to the Emerald City." "Why, it's the center of the Land of Oz, and the biggest town in all the country. I've never been there , myself, but I've heard all about its history. It was built by a mighty and wonderful Wizard named Oz, and everything there is of a green color — just as everything in this Country of Gillikins is of a purple color." The five primary countries of the Land of Oz are the central Emerald City surrounded by the Munchkins to the east, Quadlings to the south, Winkies to the west, and Gillikins to the north. Just like the information covered in the Elements of Magic, the directions have many associations. There is a country named for the people that live in each place, like the elemental spirits. There are rulers of each direction, like the guardians of the watchtowers. Each direction, including Ozma in the center, has a powerful witch, like the Feri guardians. I'm still figureing this out, but my current, and subject to major revision, view is: The four wicked witches overthrew King Pastoria, Ozma's father. The witches divided the unified Oz into four sections, oppressed the inhabitants and animals. The wicked witches of the north and south are defeated by good witches. The arrival of the Wizard and the building of the central Emerald City was the beginning of the end for the last two witches. But, rule over the parts of Oz would continue to be contested, the Wizard left Scarecrow as King in the Emerald City, but Scarecrow is overthrown by General Jinjur. Eventually, Jinjur's revolt is overthrown and Ozma, the inheritor to the deposed King Pastoria's rule, is placed on the throne. Just as there's some divergence over how to associate the pentacles in the Feri and Reclaiming traditions, the map of Oz has some strange confusions because some maps have switched East and West, and / or modified compass roses with the directions switched. There's a theory (see the Oz FAQ) that this confusion was caused by looking at a slide used in the road show reversed from how it should have been viewed. This divergence includes not just Iron and Pearl, but also the association of points with the elements and directions. Also, just the add to the confusion, the pentacles can be oriented as if being drawn on one's own body or as if being drawn by oneself, which changes which point is which for the viewer. "They [Gen. Jinjur's Army of the Revolt] were divided into four companies, and Tip noticed that all were dressed in costumes similar to that worn by General Jinjur. The only real difference was that while those girls from the Munchkin country had the blue strip in front of their skirts, those from the country of the Quadlings had the red strip in front; and those from the country of the Winkies had the yellow strip in front; and the Gillikin girls wore the purple strip in front. All had green waists, representing the Emerald City the intended to conquer, and the top button on each waist indicated by its color which country the wearer came from." Then compare this to the description of Glinda's army, which is far more disciplined and effective but has dynamic use of the colours instead of regimented, static colours. It is the dynamic balance of the elements, not the static and unchanging division of the elements that creates change. Remember that in Oz, it was the four Wicked Witches that first divided the land into parts which they would then rule over. But these soldiers of the great Soceress were entirely different from those of Jinjur's Army of Revolt, although they were likewise girls. The Army of Glinda the Good looked very grand and imposing when it assembled at daybreak before the palace gates. The uniforms of the girl soldiers where pretty and of gay colors, and their silver tipped spears were bright and glistening, the long shafs being inlaid with mother-of-pearl. All the officers wore sharp, gleaming swords, and shields edged with peacock feathers. The swirl of bright colors, pearl and peacock feathers all suggest to me connections to Reclaiming and Feri work. Ozma is a faerie (or, maybe, feri?! ), and is the legitimate ruler of the land of Oz. She, like the moon or Idunna, is an aspect of goddess that is occulted for a period of time. Ozma is transformed into the shape of a boy ("Tip"), and does not remember her identity. As a boy Ozma travels with Dorothy on a quest to find Ozma. This story is from later Oz books, and there's supposed to be some element of allegory about the womens' movement contained within the story which could be very interesting to explore. 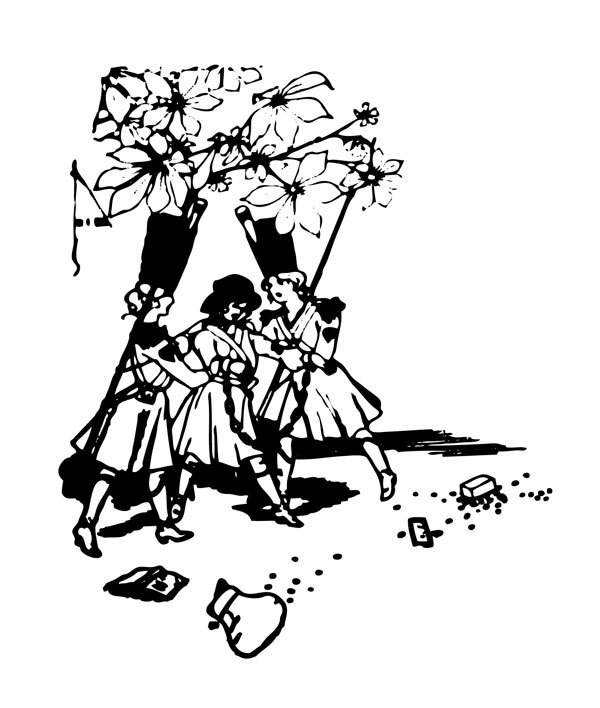 While Ozma is hidden, and revealed; Dorothy is absent entirely through this story. There is an interesting wrinkle in that when one appears the other is gone. Folkloric study would suggest that the disappearance of one character and the appearance of another means they are the same, the two characters do appear together in subsequent stories. However, both Dorothy and Ozma enact the same actiantial roles in their respective tales. Glinda in this story is in many ways the opposite of Jinjur, while also being similar in nature. While both are powerful women at the head of an army of other women, Glinda seeks dynamic balance where Jinjur seeks static center. This distinction is made through their behaiour, but is also especially signed by the army uniforms and appearances. Mombi is ambivalent in this story. She is both wicked and helpful. She did keep Tip safely, afterall, for many years. And, especially at the top of the story, she appears to be dangerous but good natured. Johns (2004) points out that Baba Yaga's relationship to the women in folklore depends on the age of the woman. Generally, Baba Yaga is a protective force for young women, but becomes dangerous to those older than childhood. Interestingly, Mombi disguises herself at one point as rose - red like menstruation. The correlation here between the journey with "Tip"/Ozma to the grail story of the Fisher King having the grail but unable to recognize it, and the echo of Dorothy's journey toward the realization of the power in her silver shoes she had with her all along, is significant. this is the same lesson, on some levels, but also is an amplification of the original. dorothy is experiencing another trip around the wheel, but in a more powerful way. this is like the way that the iron pentacle is the same cycle as the elements, and the pearl is the same cycle as iron, or the various paths in twelve wild swans. Jack Pumpkinhead is formed with a carved pumpkin head, an iconic symbol of Halloween. Halloween is the time when the old year takes up abode in the underworld. The underworld is one correspondence with the direction North and the element of Earth. Earth and North are also associated with the season of Winter, the time when Goddess is in the Underworld with the slain god, and gives birth to the new year, the young god. Jack Pumpkinhead is constructed by Tip while in the north of Oz, and brought to life by Mombi's use of the Powder of Life. Although we don't know this yet, Tip is the young fairy princess Ozma transformed into a boy. So Jack is formed and brought to life by the maiden, Tip, and the crone, Mombi. This echos the relationship between Persephone and Demeter. Jack journeys with Tip from the north of Oz through the Emerald City. Tip, Jack and friends are then detoured to the far East, place of Spring, while travelling to the South, place of summer. This directly mirrors the return of the Goddess from the Underworld in winter, beginning her return at Brigid, returning to the surface at Ostara and into the fullness of Summer. 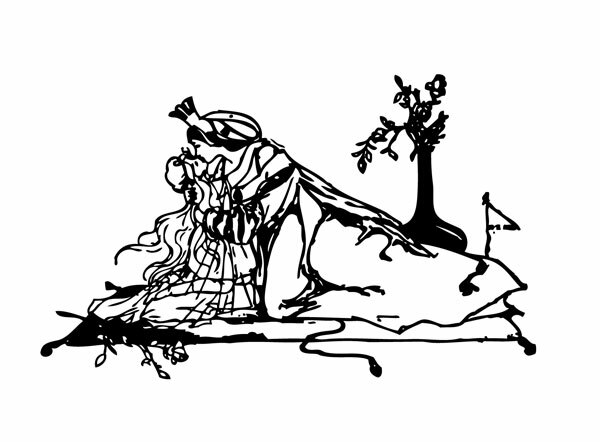 When Ozma takes her rightful place on the throne of Oz, in the center, place of change, Jack is with her, and there he remains "until the end of his days" (Baum, 1904). "Really," said the Sorceress, "that is beyond my magic." "I hope none of you will care less for me than you did before. I'm just the same Tip, you know; only — only —"
There's clearly something going on here, and one of the illustrations gives an interesting reflection of this theme. One of the illustrations clearly shows Ozma being kissed and amorously embraced by Glinda. "I shall return with my friend the Tin Woodman," said the stuffed one [Scarecrow], seriously. "We have decided never to be parted in the future." After some search the woman [Mombi] drew from her basket an old pepper-box, upon the faded label of which the wizard [not that Wizard, another one] had written a lead-pencil: "Powder of Life." "Ah — here it is!" she cried, joyfully. "And now let us see if it is potent. The stingy wizard didn't give me much of it, but I guess there's enough for two or three doses." Tip was much surprised when he overheard this speech. Then he saw old Mombi raise her arm and sprinkle powder from the box over the pumpkin head of his man Jack. She did this in the same way one would pepper a baked potato, and the powder sifted down from Jack's head and scattered over the red shirt and pink waistcoat and purple trousers Tip had dressed him in, and a portion even fell upon the patched and worn shoes. Then she lifted both hands, with all fingers and tumbs spread out, and cried"
These two examples offer a clue for how one might create a new magical formula that is consistent with the logic of magic in Oz. There are regular patterns whereby a consonant changes with the same vowels or a vowel changes with same consonant. Physically, these two example alternate left, right then both sides - first with hand gesture, the second with legs. Both formula have three parts. So, "BA BE BO, CA CE CO, DA DE DO" and "BA, CA, DA" are both valid simple verbal formulas for magic in Oz. More advanced combinations can build on this observation about basic pattern. There is a children's camp song which fits in very well as Oz magic that I need to get recorded, but it involves a progession of consonants and vowels. Additionally, the left-right-center sequence in both examples reminds me of the move-sway-move of the Elm Dance. There's another kind of magical formula. The formula for the silver wishing pills in The Marvelous Land of Oz was a kind of riddle, to take a pill and then count to 17 by twos before making a wish. In order to make the magic work, one needed to figure out the riddle.